Have you ever notice the number of times you use mobile to make calls or to send SMS or to access the internet in a month?? Surely not! When we talk about mobile phone services, monthly needs of people are unlimited. Network providers have made it easy for their customers to enjoy all the services without crossing their budget. Different packages and bundles provide ease and convenience to customers in term of services and rates. Get the best deal of free minutes, messages and data Mbs with Zong Supreme offer for a month at just Rs 750. For subscribing this offer, you must have the balance of 577 including tax. Otherwise, you can’t avail the offer. All charges are inclusive of taxes. You will get everything you wish for by subscribing to Zong Supreme offer. The subscription process is easy you just have to dial *6464*4# from your mobile, or you can also send “sub 750” to 6464. A confirmation message will be sent to you after successful activation. In case you don’t receive any message dial *3030# or visit your nearest Zong franchise. Make the innumerable call to any Zong number for a month with 3000 on-net minutes. 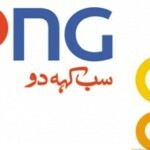 Also Stay connected with your off-net friends as Zong is giving 300 minutes for all other local networks. Chat with your friends on any networks with 3000 SMS. For unlimited internet usage, you will be provided with 3000 data Mbs. Zong supreme Offer will be available only to prepaid customers of Zong. On expiration or consumption of all resources, you will be charged at default rates. Provided Mbs are valid for all 2G, 3G, and 4G users. Any leftover data or minutes or messages will be lost if not used within the validity period or you unsubscribe the offer. Offer is auto recursive which will renew on the 30th day of the month in case of sufficient balance. No additional or extra charges and any call setup charges are included in this offer. FED and advance income tax will apply to bill and recharge. To unsubscribe the Zong Supreme offer send “Unsub 750” to 6464. 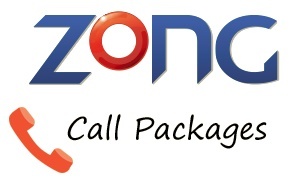 Zong supreme bundle offers you all services bundled together. This offer allows you to enjoy free calling minutes, chat with your friends and to access the internet at lowest possible rates. Get this offer now by dialing subscription code before it’s too late!